The annual White House Easter Egg Roll will be held on April 13, 2009 from 8 am to 5 pm this year. This historical event dates back to the late 1800s. Children, aged 10 and under, will get a chance to roll a hard-boiled egg across the lawn of the White House. The President and First Lady typically greet the egg-rollers, as well as other members of his Cabinet, celebrities, and the official White House Easter Bunny. This year was the first year to offer the tickets online. This system was set in place to afford people from all over the country a 'fair' chance. Normally, tons would gather at the Ellipse, the park area south of the White House, hours before the tickets were to be distributed publicly. This was an event in itself with people camping-out in cold conditions, making new friends, entertaining, and hoping to be one of the lucky thousands to get tickets. However, this year's Easter Egg Roll has created quite a buzz on the internet, blogs, and the news. Several people have voiced their concerns and dismay about the flaws of the new technology-inspired ticket option. On March 26, 2009, at a time no one is really sure of, the tickets were released to the public. From the White House website, a link was provided to re-direct ticket seekers to another site to begin their hunt. This is where obtaining tickets took a wrong turn. Apparently, the ticket-hosting site was unable to handle all the traffic. I mean, what do you really expect? The tickets were a) FREE b)a chance to go to the White House and c)did not require you leave your home or office to get. Of course there were going to be problems. Have you ever tried getting tickets for a concert? It's kind of the same notion. Several people were left frustrated and confused by the day's events. Some took a day off of work. Others found a moment in their work schedule. Many SAH Moms and Dads camped-out in front their computers. Many refreshed the screen, but the final result ended in no tickets. The night before, I began checking the White House website for updates. No tickets yet. During the night, I woke-up several times to check. No tickets yet. Around 8 am, I prepared my son for his school day. I checked the website and the tickets were available. I opened several tabs. Kept getting an error message. I picked out my son's clothes, signed his folder, prepared microwaved his breakfast, and refreshed the pages in between. I finally made it through the sign-up screen, only to be kicked out of the system. I gathered lunch money and packed my son's book bag. I refreshed all 5 tabs. Finally, a screen confirmation saying I was given 6 tickets to the event. Put son on the bus. I know those who did not receive tickets are wondering went wrong. Believe me, there are a lot of opinions about the situation. I have found a few for your viewing pleasure. Please read the comments. They are hilarious for the most part. PEOPLE, it's not that serious! I am not sure who is going with me. I have 2 adult and 4 child tickets. If by chance I am unable to attend, I will leave a post letting the community know. I will not participate in any type of monetary compensation deals, or bartering. The tickets were given to me for FREE. Oddly enough, the reason I am saying this is because I support Barack Obama. Despite all the negative comments over an easter egg roll written on several sites, this should not weigh on his character. Without getting into politics, there have been plenty of places to point the finger. I just don't think this situation is high on the list. The theme for the Easter Egg Roll this year is "Let's go play. It is an effort to encourage young people to become healthy and more active. 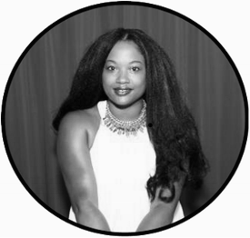 Besides the actual roll, there will be musical performances, story-telling, and other 'active' events. I will make sure I take my camera. This is going to be fun. I'm glad I was given the chance. 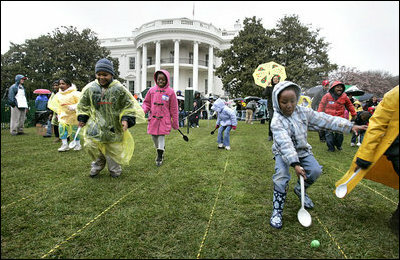 For more updates on the Easter Egg Roll event at the White House, please visit http://www.whitehouse.gov. This is the first time I've ever heard of the event (I know, I know, I must live under a rock right? lol) Despite the negativity surrounding the event, I'm glad you got tickets and hope you guys have fun! I think that's cool they offered the tickets online so that people who live a little farther away could maybe have a chance to attend. It's a shame how some parents act. Probably why the cops are called to the Chuck E Cheese nearest to us fairly often.